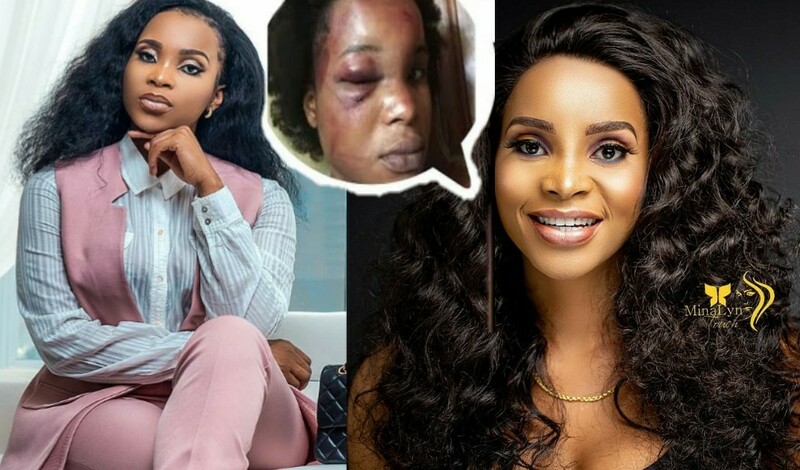 Shockingly, Slay Queen Benedicta Gaffah has been domestically abused by a married man she once dated though she vehemently denied on Abeiku Santana’s Atuu Show that she never dated a married man before. The actress shared the story of the condemnable and heinous act she suffered from this married man after Afia Schwarzenegger shared a shot of Bene’s beaten face on her WhatsApp status and hinted she’s going to speak about that issue on her T.V show. This story is a situation of Double Standard, Deceit, Injustice and Sympathy all in one bag because Afia who claims to be a voice against domestic violence is poised to tease the actress with this sad story. The deceit in there is how Benedicta Gaffah is also now telling us that she’s once upon a time dated a married man before when she earlier denied it and cursed a colleague actress with a bible verse from Psalm 109.